They call me Spike, Lady Spike! 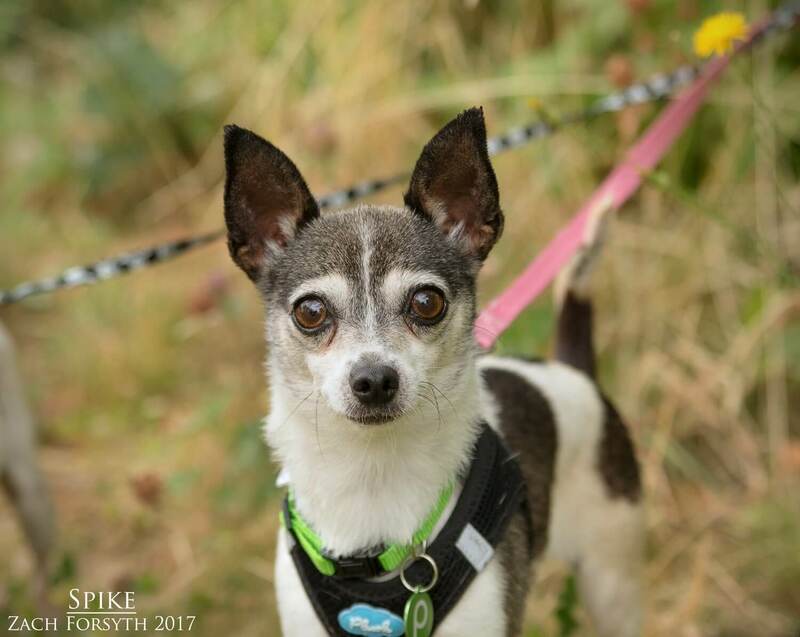 I am a 6 year old happy go lucky Chihuahua mix weighing in at 7lbs. Why the name you ask? Well because even though I am so small, I have so much confidence and am not afraid to run up to new doggy pals or my new human friends and give them face kisses! I do excellent on my daily walks and really enjoy them. I would be a great little hiking companion or maybe just a nice long walk in Forest Park. Either way is fine by me! I also have a hoot playing and romping around with with my doggy pals. And those kitties are ok too! After a long day of being active with all my friends, I am ready to snuggle the night away in your lap. After a face full of kisses of course! I am such a happy, athletic, and fun loving pup with lots and lots of love to give! Are you ready to receive it?! Fill out an application today, so we can meet. I come to spayed, vaccinated, up to date dental, and micro-chipped with an adoption fee of $300.